But I think we both knew, even then, that what we had was something even more rare, and even more meaningful. I was going to be his friend, and was going to show him possibilities. And he, in turn, would become someone I could trust more than myself. 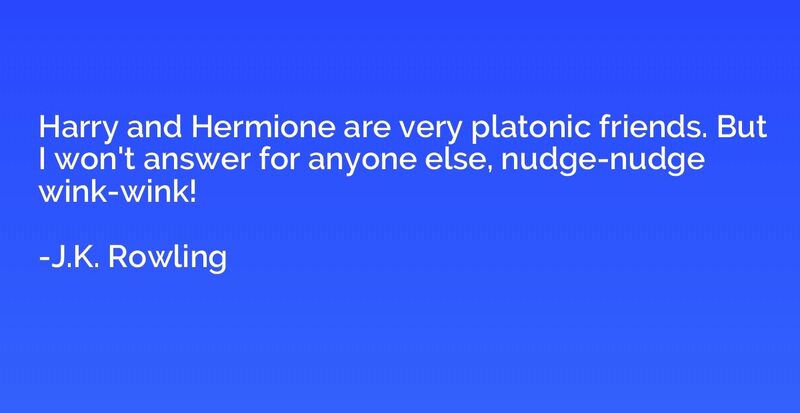 Harry and Hermione are very platonic friends. But I won't answer for anyone else, nudge-nudge wink-wink! 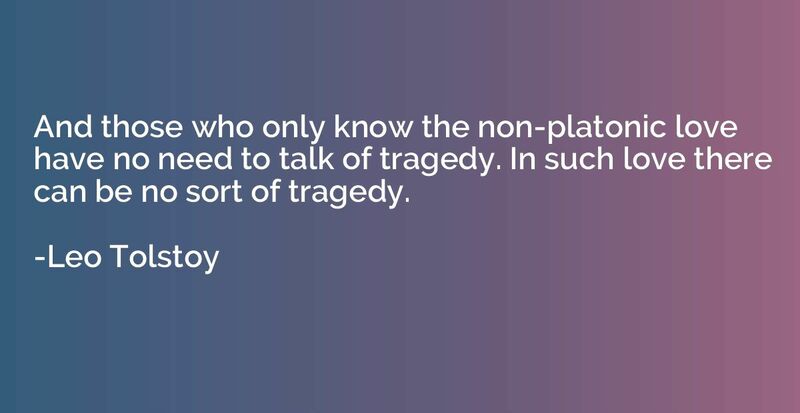 And those who only know the non-platonic love have no need to talk of tragedy. In such love there can be no sort of tragedy.